If you want to write an explosive teaching statement that leaves your hiring committee in awe, there are at least five things you will want to consider in relation to your teaching and learning: introspection, impact, content, methods, and assessment. 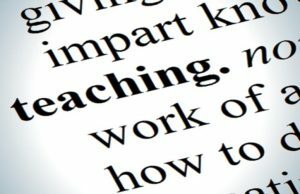 These five categories consistently appear throughout the many resources available to those writing a statement of teaching philosophy. This blog is an overview of the insights generated during the Futures Initiative fellows workshop on statements of teaching philosophy, held on Wednesday, April 6. Critical contributors to this conversation include Cathy N. Davidson, Katina Rogers, Patrik Svensson, Frances Tran, Lauren Melendez, Mike Rifino, Kalle Westerling, Allison Guess, Lisa Tagliaferri, Fiona Barnett, and Michael Dorsch.